Blend the rusks in a blender. Add the spring onion, capers, olive oil, lemon juice, vinegar and lightly blend. Finely chop the parsley mix it with the remaining mixture. Pour the mixture onto the rusks, add the myzithra, walnuts and freshly ground pepper. 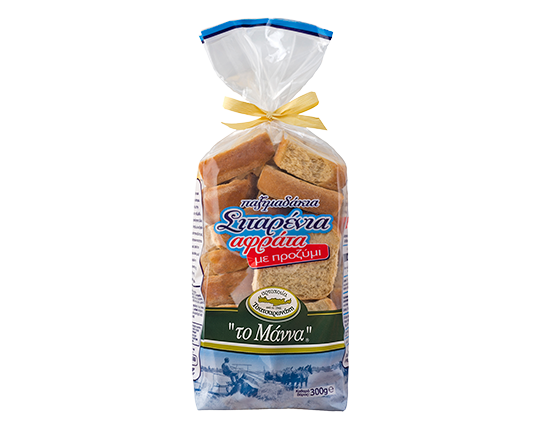 You can of course choose any other “the Manna” Tsatsaronakis rusk and create our very own variation on this recipe.